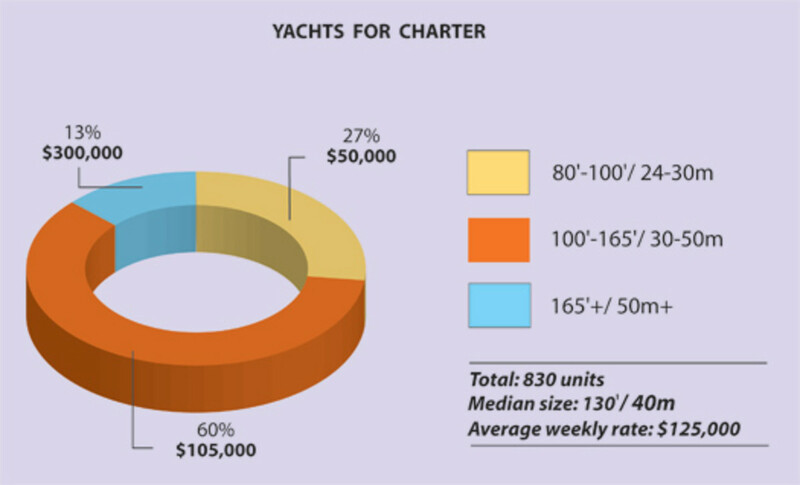 Camper & Nicholsons International recently released its 43-page Super Yachting Index, which quantifies the population of yachts 80 feet and larger. 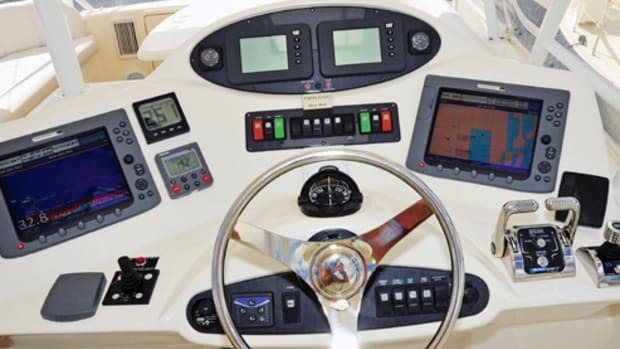 The document represents the first time any large yachting company has publicly offered such information, much of it from internal company and industry-only databases updated through the end of 2007. The Luxury Institute, a New York research group that focuses on wealthy Americans, oversaw the data&apos;s compilation. Power & Motoryacht&apos;s charter and cruising editor, Kim Kavin, interviewed the index&apos;s author, Laurent Perignon, Camper & Nicholsons&apos; director of marketing, about why the company made this information public, how the data were collected, and what they indicate. Why did you create the Super Yachting Index? We started thinking about it over two years ago. I got tired of seeing everywhere people saying, "We&apos;re the leaders, we&apos;re number one." Basically, all the brokerage houses were saying the same thing. Some of the data was not easily available, but we had our own data, and we decided to undertake this tedious research to actually figure out who stands where. It&apos;s a two-sided project. Publicly, we want to show ourselves as leaders in the way the industry should behave, being more open with information. And privately, we wanted to do some competitive analysis. What sources did you use? For new construction, it was mostly external data compiled by magazines, all cross-referenced with our own data from shipyards. 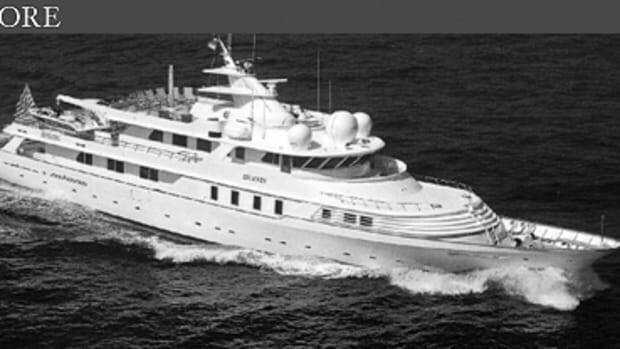 For brokerage, a lot of the public information doesn&apos;t include the value of the yachts being sold. We have that data, and most of the brokerage houses have that data. It was a matter of putting that together and analyzing it. With charter, all brokers use the private MYBAnet system. (Editor&apos;s note: MYBA is a trade organization.) For for the past year and a half, we wrote down everything we could from there, and then cross-analyzed it with our own data. If your data are correct, then all media have repeatedly published inaccurate megayacht information. Why was so much so wrong? When it comes to the global order books [that some magazines publish], for instance, people usually don&apos;t distinguish between what&apos;s ordered and what&apos;s actually afloat. You may have 900 orders, but only 400 yachts delivered in a year. So the number 900 gets added to the next year&apos;s total, even though only 400 yachts were delivered. 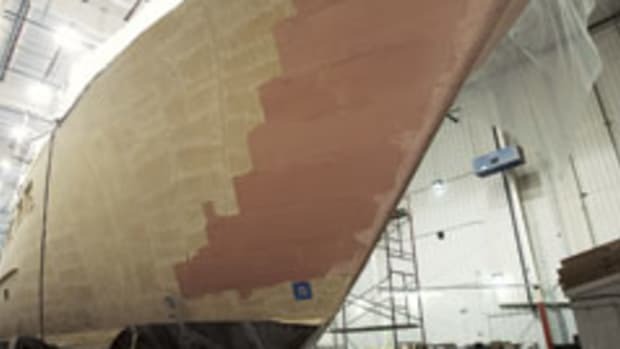 When it comes to the level of sales, the media have always been interested in the shipyards, but nobody pays strong attention to brokerage, the number of deals and the value these deals generate—and it&apos;s huge. Not much. We have been dealing with this data for years, and there are many things we knew by our expertise. The data showed what we knew, but gave us proof. The one interesting aspect was when we looked into the brokerage houses and independent brokers, and we realized the majority of business is being done between 12 or 15 companies. In the years to come, I expect a lot of the smaller companies to restructure. There is a need for further consolidation. Really? The Index states that just 150 brokers share two-thirds of the brokerage and new construction market. Isn&apos;t that already an awful lot of consolidation? The people who represent the remaining one-third of the business are going to consolidate to compete with those companies at the top. Obviously, as long as business is booming, everyone wants to keep their share of the cake. But if things are slowing—and given the financial situation in America, that&apos;s most likely to be felt by next year—people have to restructure. There will be a consolidation of the second- and third-tier players. Whether the current structure gives too much power to a few players, I wouldn&apos;t say that. Deep down, we don&apos;t really want a thousand guys who don&apos;t know what they&apos;re talking about coming into the industry. 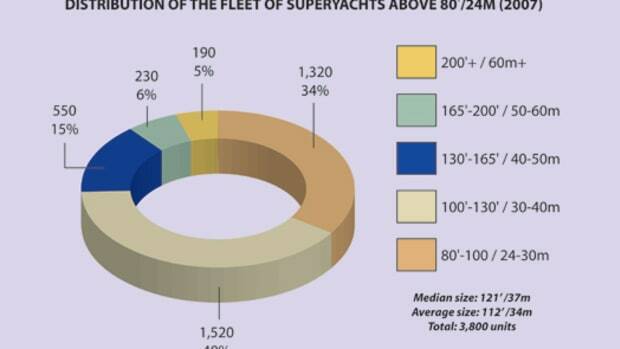 The Index states that 80- to 130-footers comprise about 74 percent of all megayachts. Yet the largest yachts are 200 to 500-plus feet long. Is the market shifting upward? The shift is taking place gradually, and it&apos;s going to carry on just as it has the past few years, only maybe at a slightly slower pace. There is no point in building too many 160- to 200-foot yachts too quickly, when there is not an infrastructure with marinas to support them. 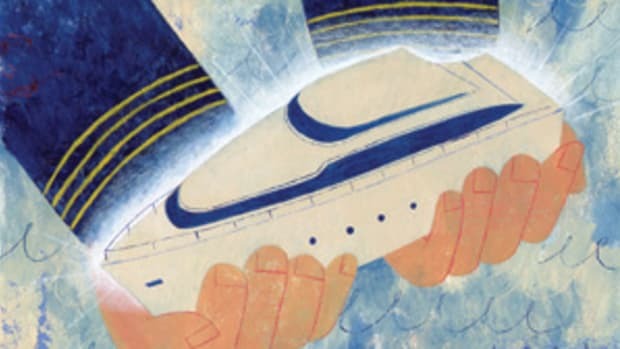 The production of the largest yachts has grown faster than the other segments over the past few years, and demand is still bigger than supply. But all the yards are building to capacity, so it&apos;s hard to get much faster without new shipyards. Whether new yards will be in a position to compete with established yards is difficult to say, but give it another five years, and I&apos;d say the heart of the market will be 120 to 165. 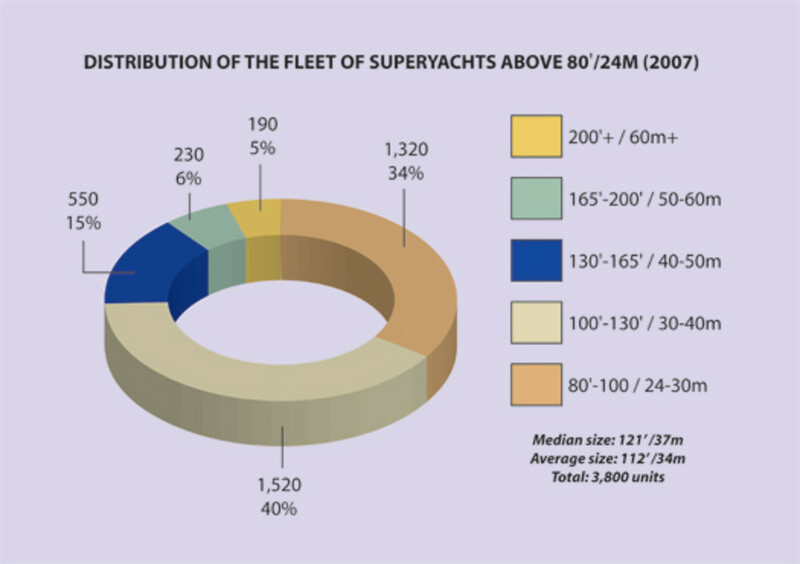 The Index projects that by 2010, the current fleet of 3,800 megayachts will grow to more than 5,000 (and to 7,500 if 70- to 80-footers are included). Where will we put them? That&apos;s the big question. That&apos;s why some marina owners have looked at development beyond traditional markets, not just expanding existing marinas but expanding into new parts of the world. Abu Dhabi is developing marinas, Dubai as well. 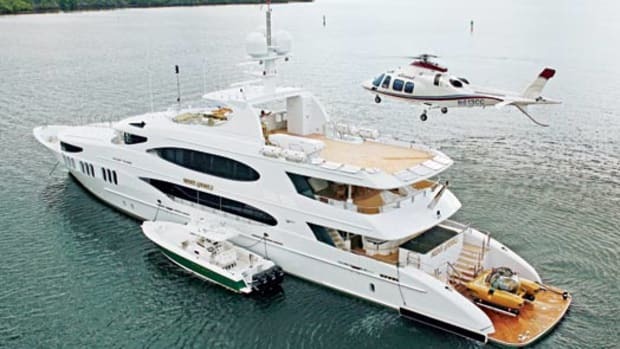 The question is whether yacht owners and charter clients will want to go to these places.